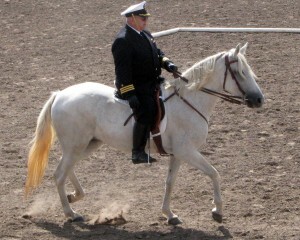 Bill Kambic writes in about an event that he participates in every year with a Marchador entry. Our apologies that this didn't make the newsletter too! Please go and cheer them on and enjoy the show! demonstrating other aspects of military horsemanship. Competition is open to anyone who wishes to participate. Of course all work and no play makes for dull troopers. So there are also a number of good parties and social events!